So, I realized that I've accumulated quite the pile of toilet paper tubes. I used to keep them in a box on a high shelf in my craft room "just in case." Then I went through and de-cluttered and got rid of them. I somehow have now accumulated another pile. It's like I have no ability NOT to accumulate the silly things. I thought it would be fun to see how many cute toilet paper tube or cardboard tube crafts we could find to maybe use these things up. People's creativity always amazes me. 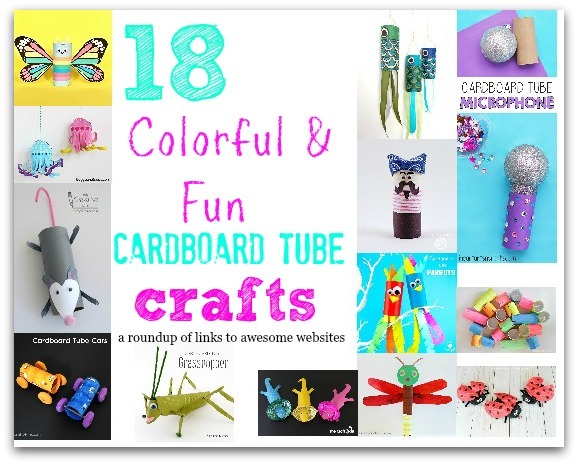 A lot of these would make fun crafts to do this Summer if your kiddos start chanting, "MOM, I'm bored!" Links to the original sites are in the captions of the photos. 1. This first one is SO cute! I love that she repurposed a sparkly Christmas ornament to become a pretend microphone for a Sing Party. I've personally never seen the movie, but my kids went with their uncle to see it when it was out. 2. These cardboard tube parrots are cute. My hubby keeps accidentally buying google eyes. Well, I mean it's not an accident that he's buying them. . . . . . he wants the kind with sticky backs so that he can just peel and stick. He keeps ending up with the kind that do NOT have the sticky back, though. So, let's just say we've got some googly eyes in the house. 3. This next craft uses a longer cardboard tube like a paper towel roll tube. 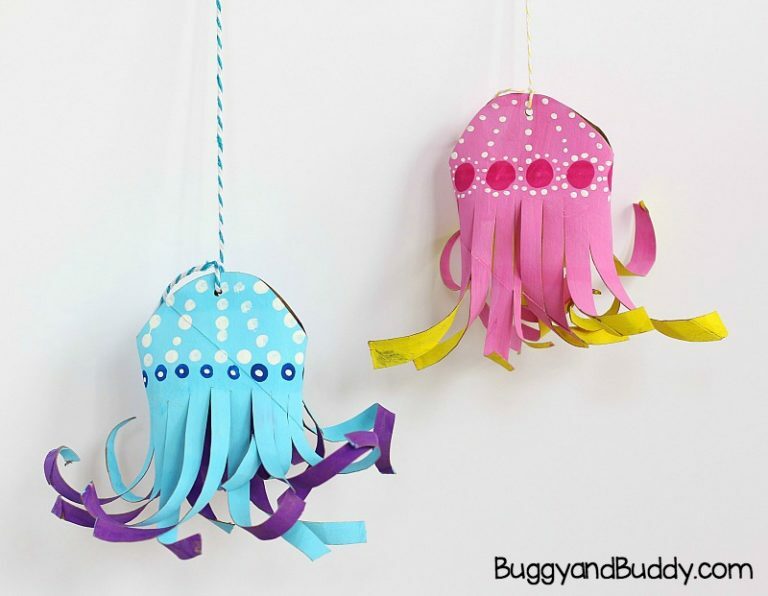 It's another cute one for Summer time~~ Jelly Fish! So bright and colorful. 4. 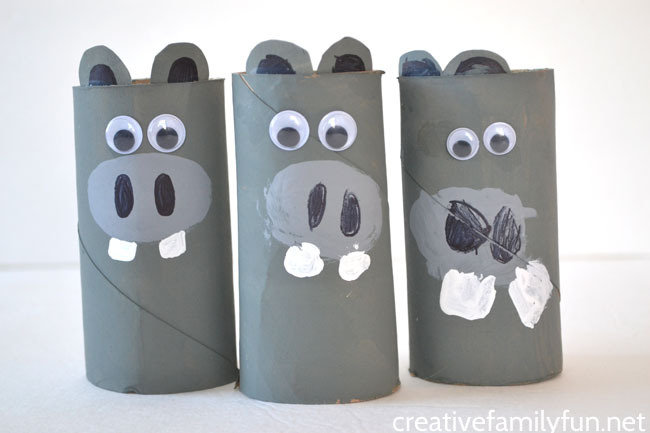 Make the cutest hippos ever with this cardboard tube craft from CreativeFamilyFun.net. 5. I. Love. This. Pirate. This pirate is way too cute! Yo Ho, Yo Ho. The Pirate's Craft for Me! I am especially fond of bandanas right now. . . . . . as you will soon see in my porch decor re-do! 6. 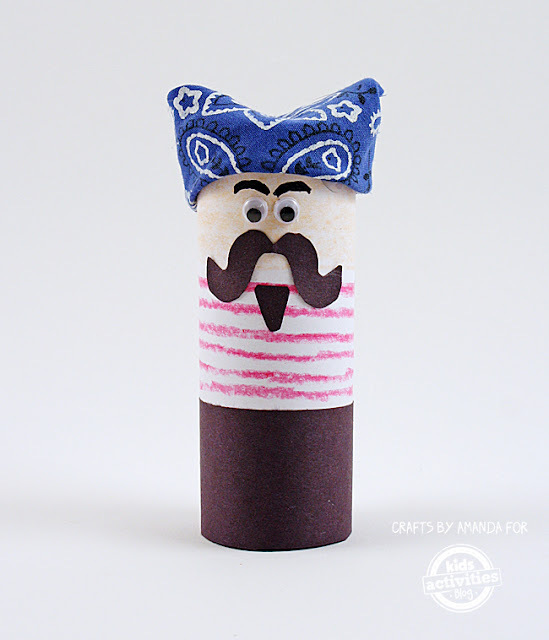 I was trying to find some newer toilet paper tube crafts, but this one from 2016 is SO cute I had to include it. When you go to the webpage, there is a free printable for it. 7. Staying with the insect theme, this Cardboard Tube Grasshopper is really cute. 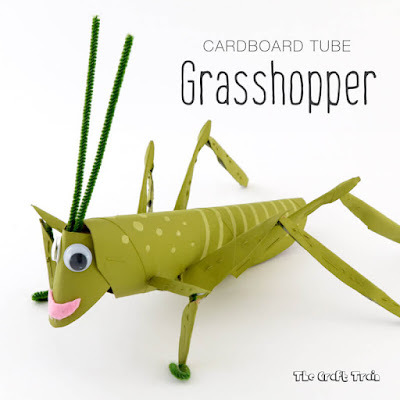 Looks a little more complicated than some of the other crafts, but they give you step by step instructions over at The Craft Train. 8. 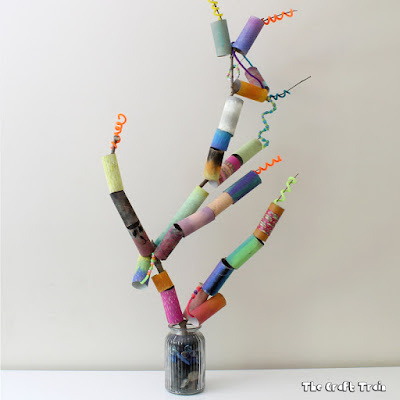 Check out Michael's for some Space inspired crafts. One of the crafts is a Life on Pluto: Cardboard Aliens. They are so cute, with pompom antennae. 9. And more bugs. 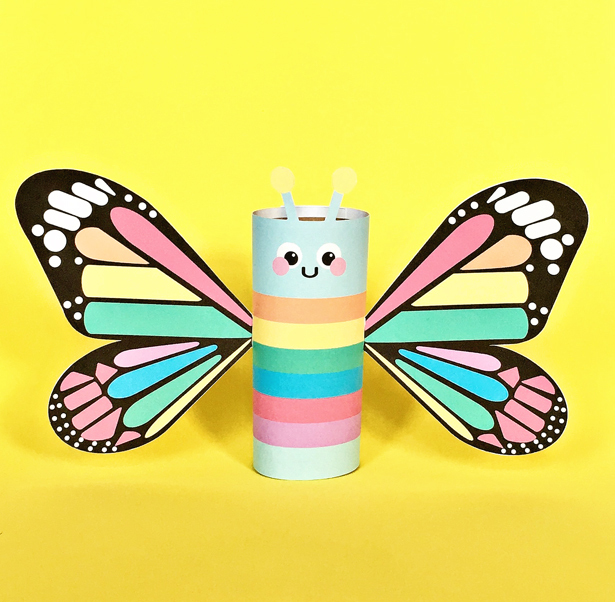 Here's a cute cardboard tube Lady Bug. 10. 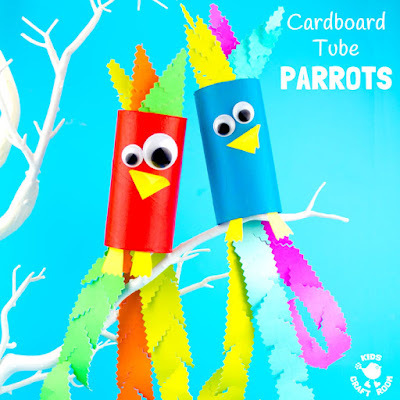 This Cardboard Tube Construction set could keep small kids busy for a little bit. 11. Okay, this one is a couple years old. I seem to be having trouble finding newer ones! It is so stinkin' cute, though. I love that the fish are tied to driftwood. I guess there was a more involved craft floating around that used more cutting and pasting. One Perfect Day decided to simplify it when they created theirs. I personally love how theirs turned out! 12. 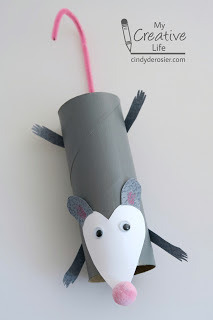 I adore this cardboard tube Opossum from My Creative Life. It's so cute that it hangs from it's tail. 13. Here's another cardboard tube craft from the Craft Train. 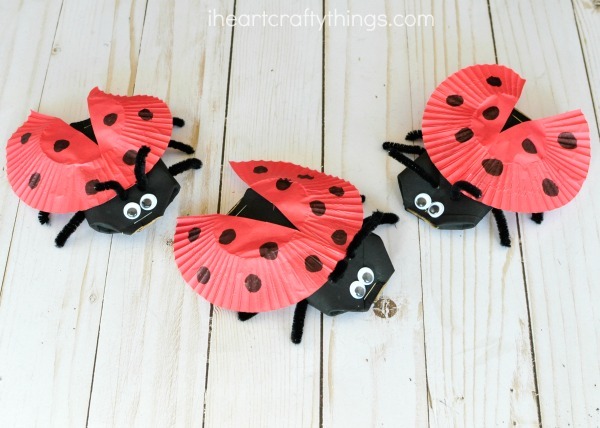 I love that this one uses cupcake liners. 14. Here's another craft from Buggy and Buddy. 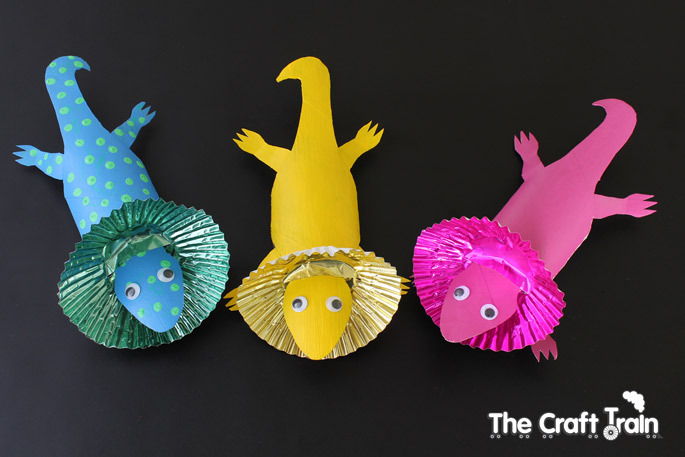 I love crafts that are tied in with children's books. 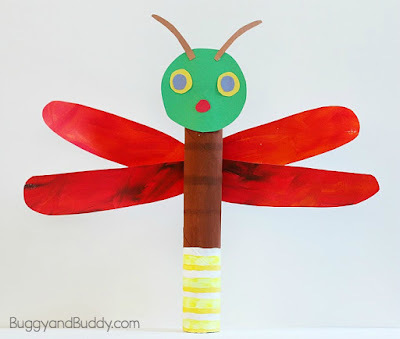 This craft was based on an Eric Carle book. I think they did an amazing job! It uses a paper towel sized cardboard tube. 15. 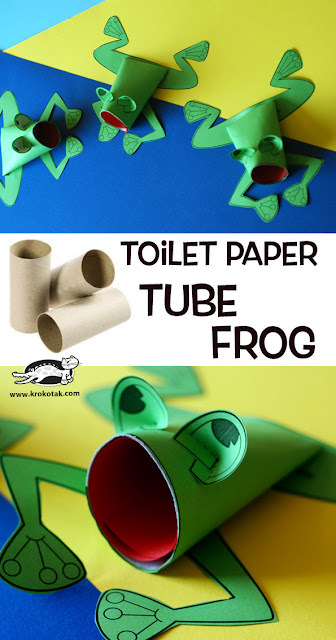 This little toilet paper tube frog is cute. When you go to the website, there is a printable template that you can print out to create your own toilet paper tube frog. 16. Have a kid who likes cars? 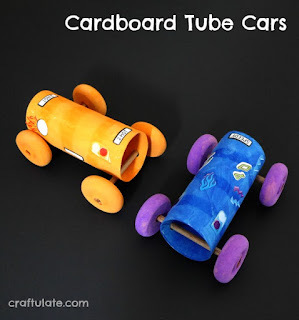 Have them create their own cardboard tube car to race. 17. Okay, this one is old. 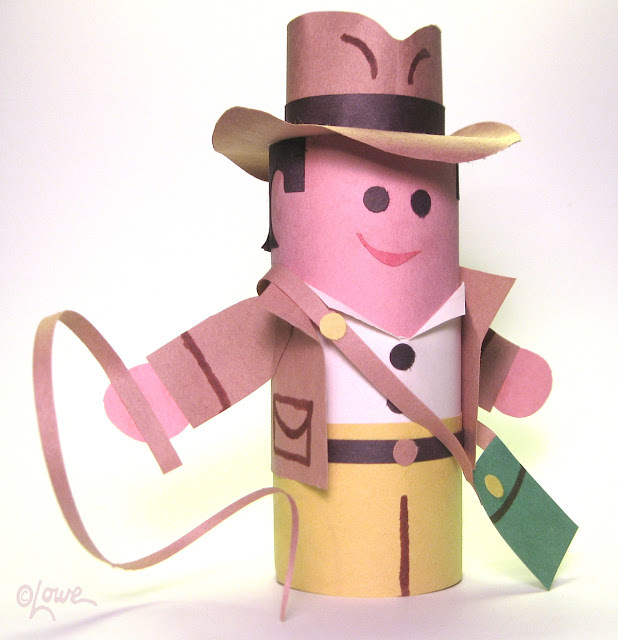 BUT, how could I pass up on an Indiana Jones toilet paper tube craft? My son went through a whole Indiana Jones phase when he was little. Man, I miss those days! I love where we are now, but I miss those days. It's possible to love your current phase AND miss a past phase at the same time. 18. Here's another project from The Craft Train. We love how their Paper Roll Tree Collaborative Art Project turned out. It's a project they did during a book review. Love it! Especially all of the colors. Beautiful things can happen when people collaborate! 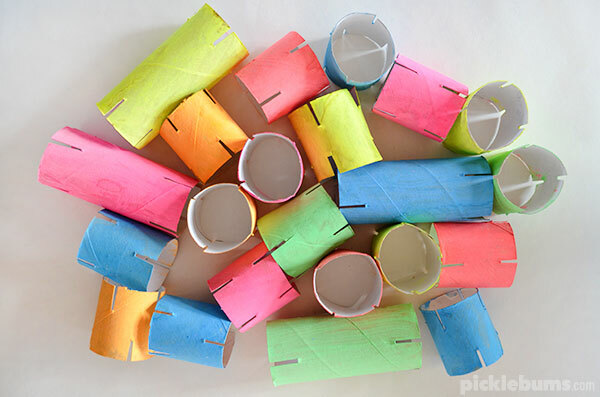 Which was your favorite toilet paper roll or cardboard tube craft? Thanks for including my fish in this roundup! I just LOVE toilet paper craft! I have a house full of googly eyes too, and no excuse...I just love 'em! Thanks for featuring our parrots.